Description: This inflatable is happy, happy, happy! 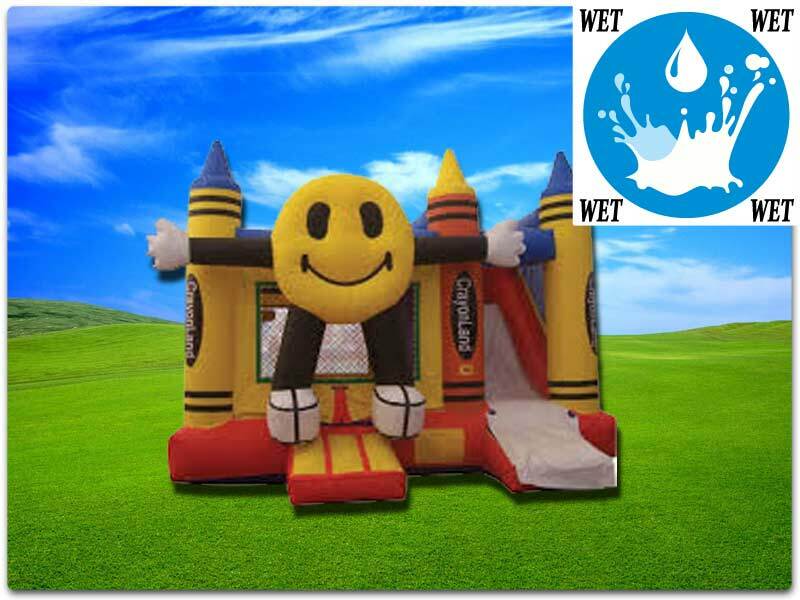 !� This inflatable bouncer and slide features a regular size bounce house with a huge happy face on the front and a 14' slide!! This is a great all around moonwalk and slide combo! !